If you think Won’t You Be My Neighbor? is aimed only at children, think again. Audience conversations after showings of this film are studded with adults who are stunned by its relevance to their own lives right now in the present. It is a lovely biography of a man who years ago wanted to talk with children to help them discover who they really were in a world where the opinion of their peers often prevented exactly that. 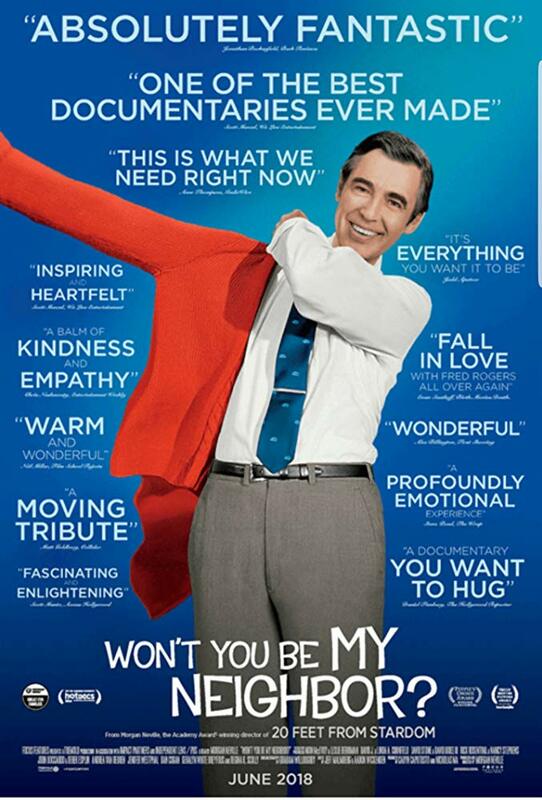 This documentary is a compelling study of Fred Rogers himself as well as a look at his influence on children. Add to that the relevance of his questions to all ages. In 1967, Rogers found he could reach children through the new medium of television. He was not looking for TV success; he was looking at the new medium as a path to children in their young confusion in a way that would help them learn who they actually were inside, not who they were in relation to their peer groups. According to people who knew him and worked with him, Rogers was being his own self to a degree that made children talk openly. All who spoke here said he had not an ounce of wanting TV celebrity. He looked at his exposure only to the degree it helped him reach children. He reached them through 900 television shows. He doesn’t explain himself or his goals; he answers the questions that come from the children who trust him, and he uses deep concepts in simple words. Gently, he makes them understand they don’t have to do anything that troubles them to make people like them. How about that for all of us? Silence is Rogers’ delight and as we watch him with children, we understand it was his way of reaching them. He stepped into their lives gently, and they began to talk. Their connection with each other is so unforced, so real, that many in the audience begin to translate Roger’s quiet wisdom into a lesson for themselves. He is a very different person from other TV personalities. He is so much himself, so real, that the audience absorbs his nature and comes out of the theater applying it to all ages. Film Title: Won’t You Be My Neighbor? This review was posted on July 14, 2018, in Biography, Documentary. Bookmark the permalink.